Think about it. How many potential employers like to read long explanations about one’s job profiles on résumés? 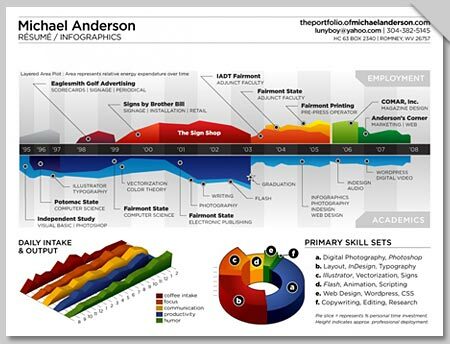 The following examples show how you can create an info graphic résumé for their reading pleasure. Try our Mural, Mindmap or Business Mind diagrams as a creative way of presenting your résumé or career path. 1. 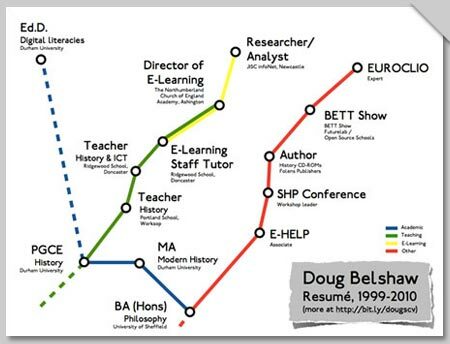 This is probably the best and most innovative of the info graphic resumes we have seen on the Internet. It belongs to Michael Anderson. We especially loved his input and output chart.